Last week I was on holiday with Mrs Geek in London. 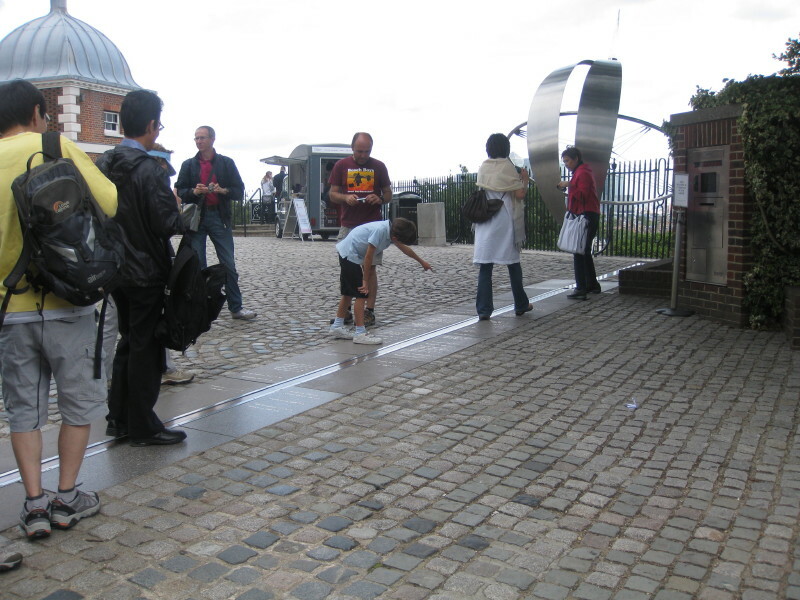 While I was there, I spent an afternoon at the Royal Greenwich Observatory, which is set on top of a hill in East London. It was commissioned in 1675 making it one of the oldest astronomical observatories in the world. Sadly, it can no longer function as an observatory. There is far too much light pollution caused by street lights, road traffic, housing, offices etc. So it now a museum. Perhaps its greatest claim to fame is that within its grounds is a steel strip, which shows the line of 0 degrees longitude marking the boundary between the East and West hemispheres of the Earth. 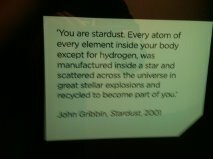 However, the thing that really stuck in my mind was a display which contained a quote from the British physicist and popular science writer John Gribbin (1946-). Previous Post Space the Final Frontier- but where does it begin? So your next post will be 14 paragraphs long; 1 for each billion years or part thereof, right? Looking forward to reading it. I just love this kind of stuff–being aware that we are all so intimately interconnected. This is the kind of awarenes from which I feel my sense of spirituality.